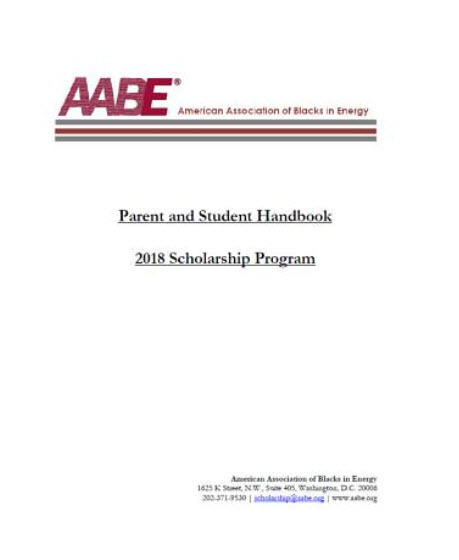 The Virginia Chapter of the American Association of Blacks in Energy has just released their 2018 Scholarship Package! Feel free to forward/share the scholarship packet to your family, friends, social groups, church, fraternity brothers, sorority sisters, etc. 1.) Have, minimally, an overall “B” unweighted academic average (3.0 or better on a 4.0 scale). 2.) Be a graduating high school senior who has applied to one or more accredited colleges/universities. 3.) Plan to major in business, one of the physical sciences, technology, engineering or mathematics fields in preparation for a career in the energy sector. 4.) Be a member of a class or group of individuals who has been historically underrepresented in the sciences, technology, engineering and math related disciplines.